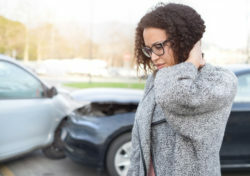 If you have recently been in a car crash, then it is important to obtain medical care that will restore balance and normalcy to your musculoskeletal system. These jarring, impact events can have a very negative impact on your overall sense of balance and health. They can also result in significant amounts of both immediate and latent pain. Fortunately, you can get the relief that you need by working with auto accident chiropractors in Phoenix. It’s important to note that chiropractors take an entirely different approach to treating car accident injuries than do conventional medical doctors. For instance, if you experience any pain, inflammation or swelling, your regular doctor might prescribe pain medications and advise you to rest. This is done to give the body ample opportunity to repair itself and to alleviate the discomfort that people are often feeling after colliding with other vehicles. Chiropractors, however, are more concerned with finding the actual underlying source of a person’s pain. For instance, if you have pain in your neck, you might be experiencing a form of joint dysfunction known as whiplash. You may have a pinched or compressed nerve or you may have a slipped disc. Identifying these issues and then resolving them right where they start is the best way to help the body recover from these unfortunate events. The spine functions as a major superhighway between the brain and all of the nerves throughout your body. When this portion of your musculoskeletal system is subjected to any jarring impact, there can be disturbances in the communication that occurs between your brain and your nerves. These disturbances can lead to flagging performance across your immune system and many other organs and organ systems. It can additionally cause problems like chemical imbalances, depression and more. It is easy to see why chiropractic therapies that improve the alignment, positioning, and health of the spine can actually help the body repair itself after a major injury event. When the spine is properly aligned, all of a person’s internal systems can work like they should. This often helps with the natural recovery process that people must undergo. There is also the fact that many of these therapies are very effective for alleviating pain. For instance, if you have a pinched or compressed nerve, having your chiropractor manually adjust the vertebrae that abut this nerve will immediately relieve much the resulting tension and stress. In instances such as this one, adjustments can also limit the need for surrounding muscle groups to compensate for the injured area by working much harder than they are designed for. Chiropractors are known for individualizing integrated plans for each person that they treat. For instance, depending upon the nature and severity of your auto accident injuries, your care might include inversion table therapy, manual adjustments, therapeutic massage and more. The goal is to provide services that will allow for the most rapid healing and the greatest level of overall health benefits. 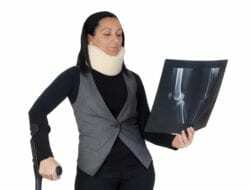 Another major advantage that accident victims gain by working with these professionals is the ability to properly document their injuries for their claims. These alternative doctors have the ability to identify and treat functional problems that might go overlooked in other treatment environments. With their help, many people are able to get the fair compensation that they deserve for the full amount of their pain, loss and suffering.